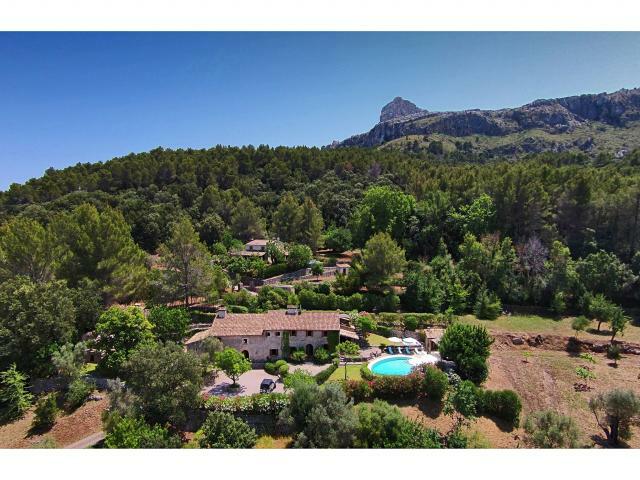 7 Bedroom, 5 Bathroom Villa with Mountain View and a Private Swimming Pool , Air Conditioning, WiFi, Satellite TV, near Golf, Sleeps a maximum of 12 people. 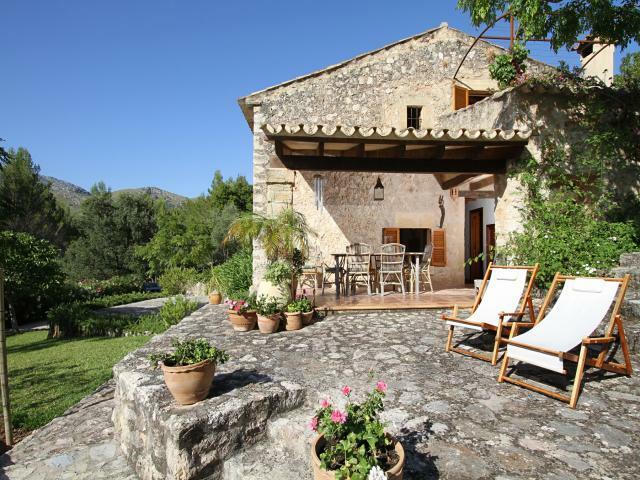 This is a magnificent traditional finca set in the stunning Vall de March near the ancient town of Pollensa in the north of Mallorca is the perfect place to enjoy a well-deserved holiday. 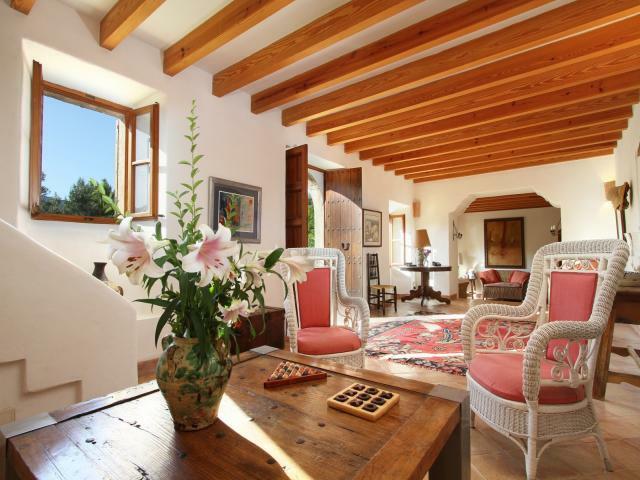 If you like traditional Spain, you will love this villa. The setting is pure bliss. 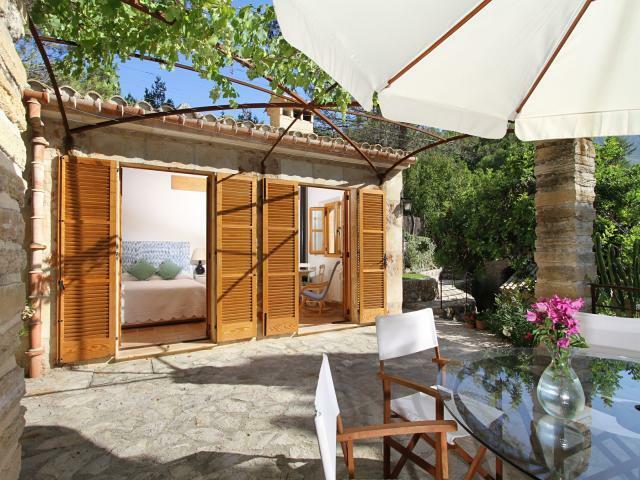 Nestling cosily in a lovely secluded spot just a short distance from the historic Lluc Monastery, the views over the countryside and mountains are to die for. This is some of Mallorcas most breathtaking countryside. 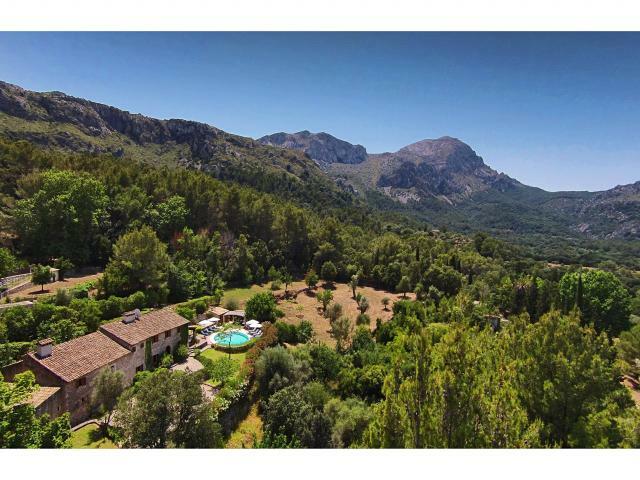 Being located at the upper end of the Tramuntana Mountain Range, the natural beauty of the area cries out to be explored particularly on foot. And the great thing is, it doesnt matter what time of year you visit, summer, spring, winter or autumn, the countryside is all yours to discover! 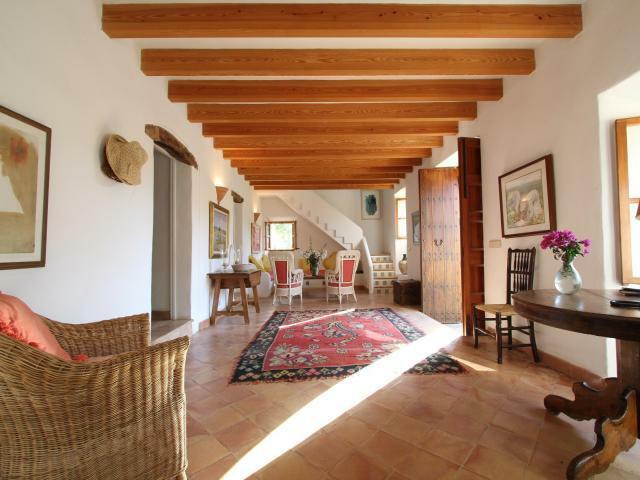 This traditional Mallorcan farmhouse may be 300 years old but a recent renovation has transformed into a holiday rental home par excellence. 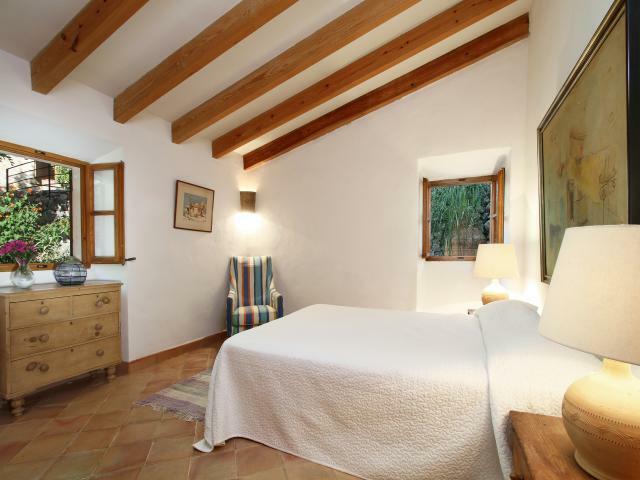 The villa comprises the beautiful main farmhouse and a separate guest house. 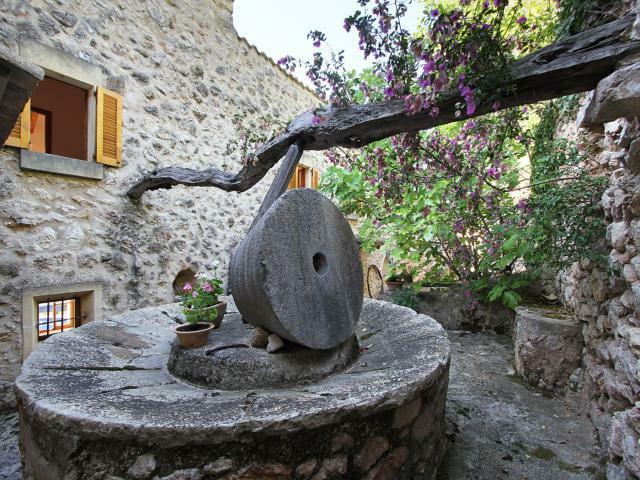 Being constructed centuries before air conditioning was invented, the property genuinely doesnt need it. 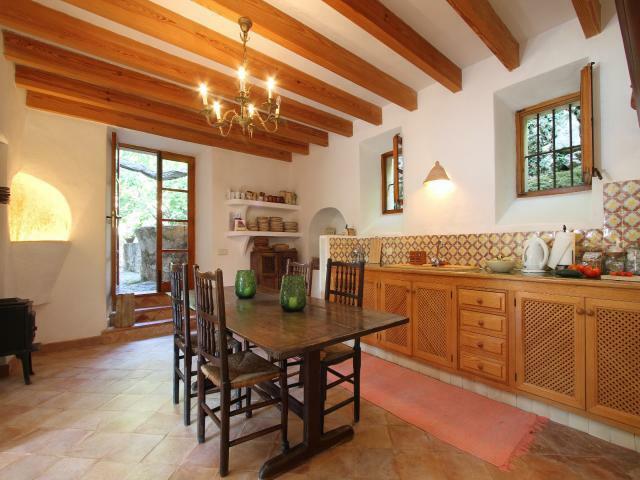 Really thick walls mean that you keep cool, even in the height of summer! The separate guest house, however, does feature air conditioning. Decor wise, its a perfect marriage of the old and new. The spacious living area is a joy to behold. 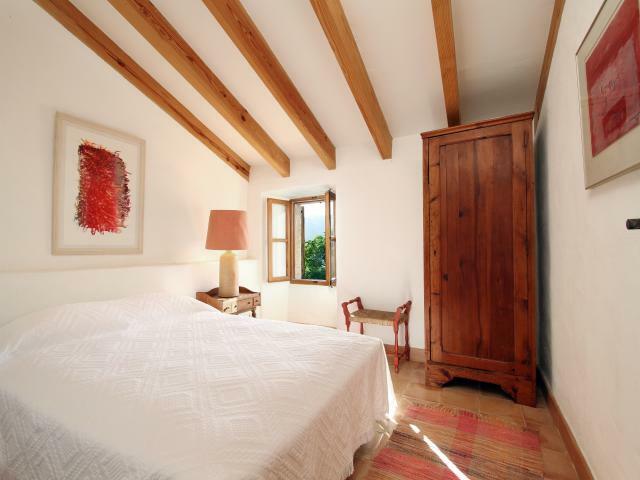 Traditional wood beams, wooden window shutters, lovely antique Spanish furniture, white painted walls adorned with colourful art, terracotta-tiled floor its all rather beautiful. 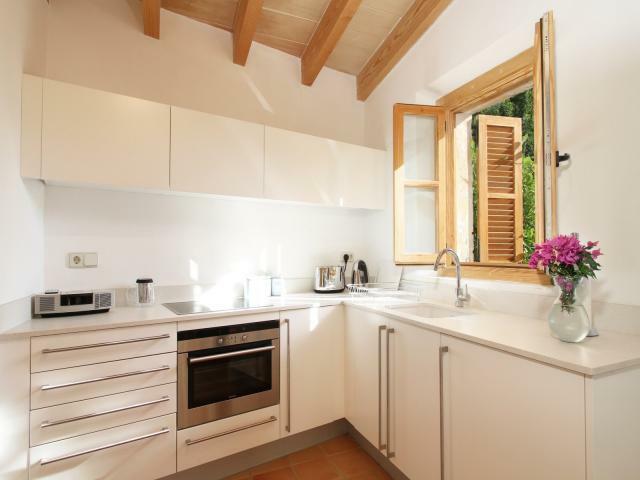 There is a lovely equipped traditional kitchen (no dishwasher) and you also benefit from satellite TV, DVD player and free internet WiFi access. 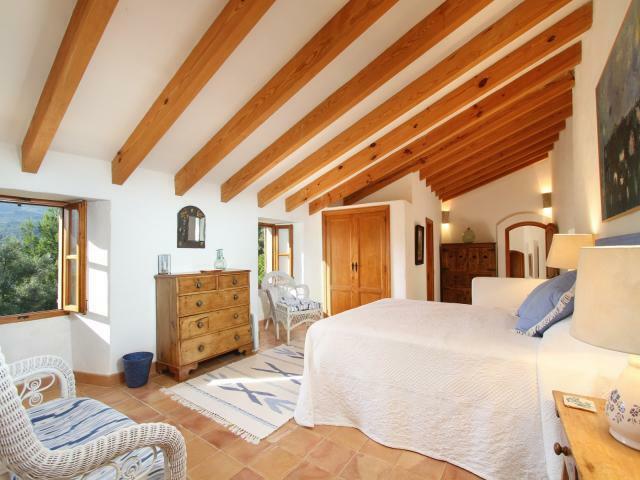 The bedrooms are light, bright and cosy. 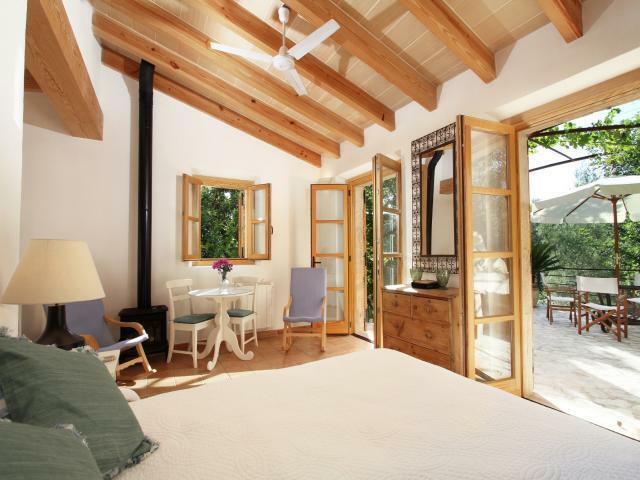 The villa sleeps up to 12 people comfortably. 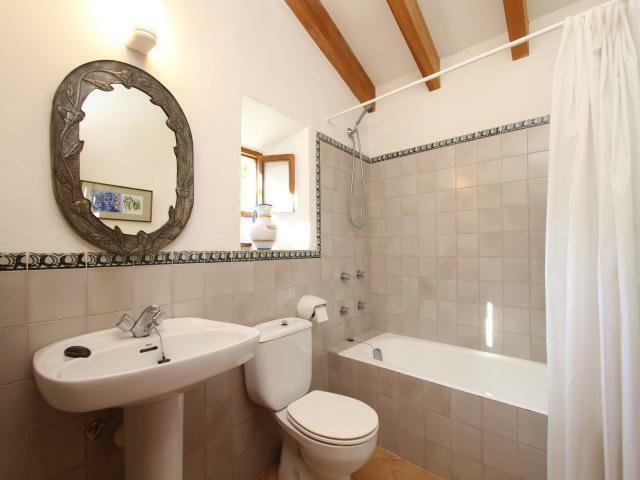 In the main house youll find 3 double bedrooms plus 3 twin bedrooms. 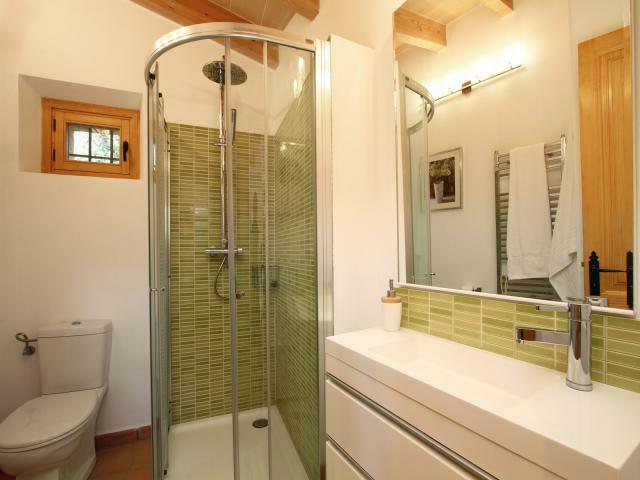 There are 2 bathrooms with showers and 3 with baths as well; three of these five are en suite. 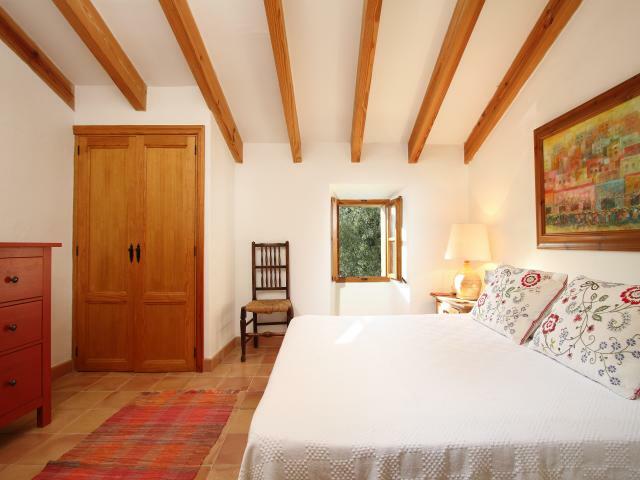 The delightful guest house sleeps 2 people in style. 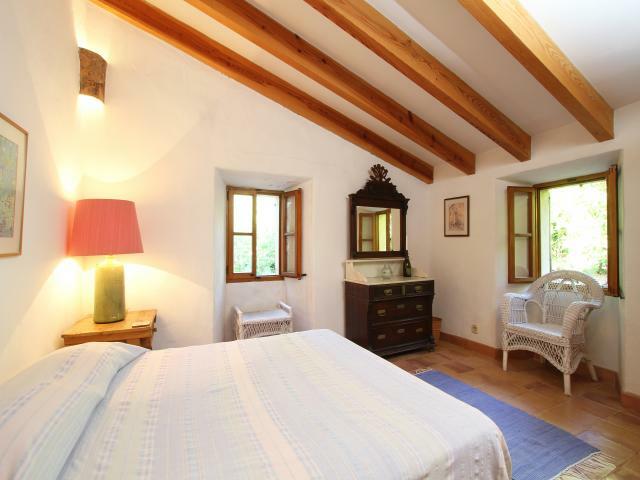 There is a double bed, bathroom and kitchen. 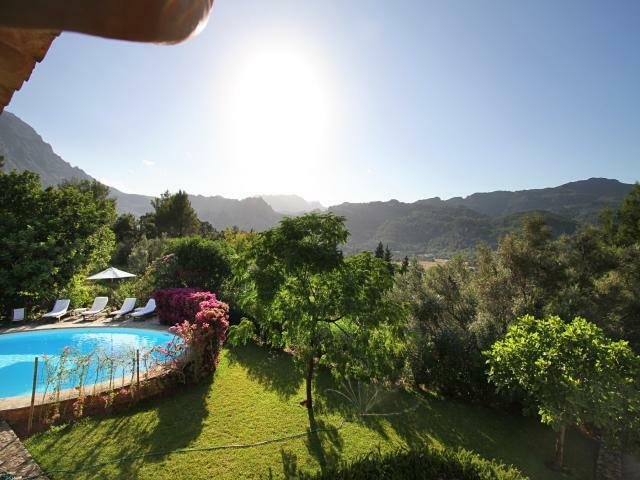 You can sit back and relax in the evenings with a glass of wine while watching the satellite TV channels. 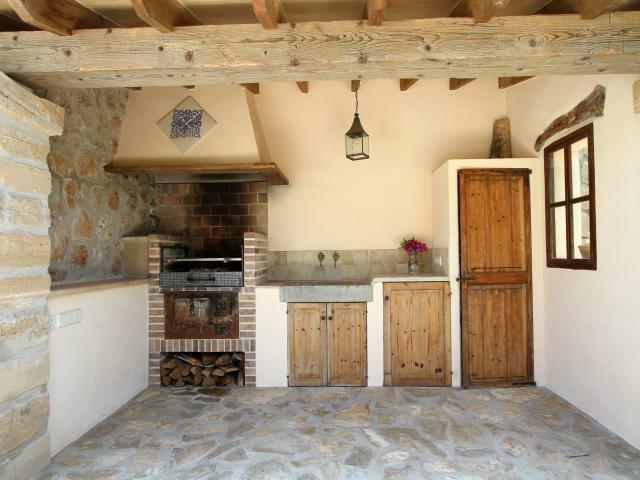 And there is a wood-burning stove and additional heating if the temperature drops. There is a cot and high chair available on request for an additional charge. The exterior is stunning. The lovely established gardens are full of mature trees, shrubs and colourful bougainvillea. The gorgeous stone terraces are just perfect for chilling out with a good book or for sunbathing by the sheltered, private swimming pool. Youll find plenty of outdoor dining furniture too. 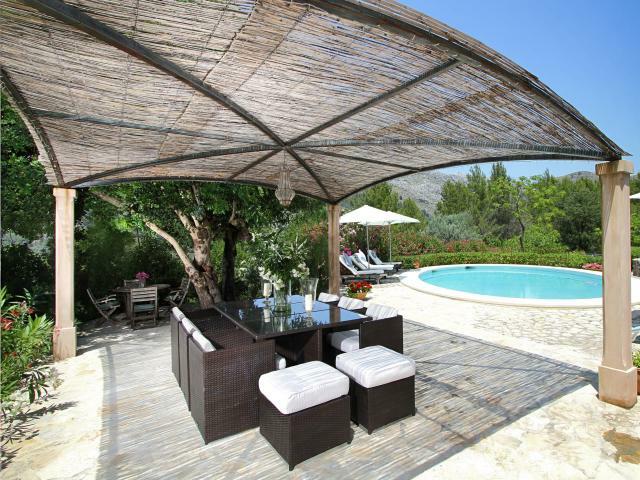 So why not fire up the built-in barbecue or enjoy a romantic al fresco candlelit meal beneath the stars. 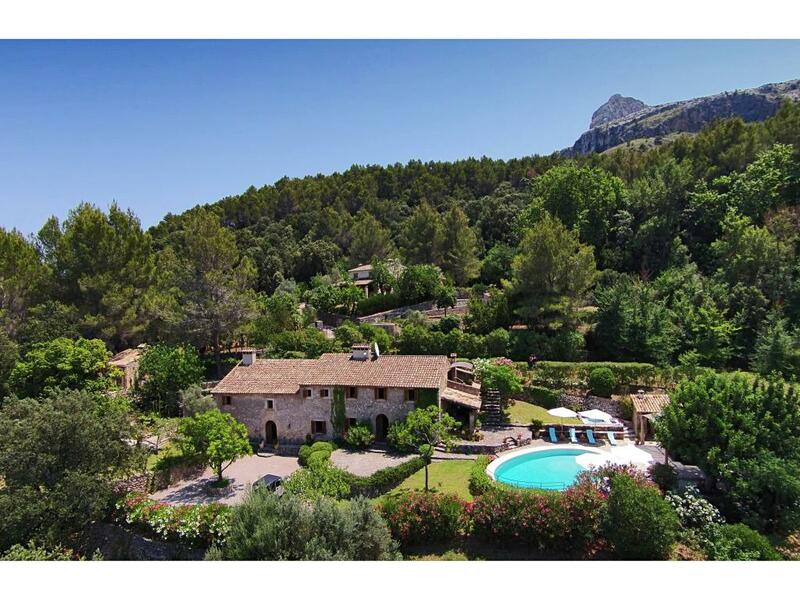 This is a dream holiday villa set in the beautiful north Mallorcan countryside. There is ample parking and early booking is strongly recommended.